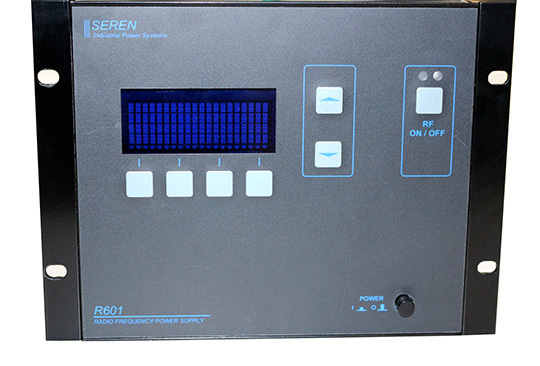 In addition to this Seren R601, Capovani Brothers Inc stocks a wide range of used RF generator power supplies. Typical manufacturers include Advanced Energy, Comdel, ENI Power Systems, Neturen and RF Power Products. Other Information Part number 9600610028. This part number has analog interface connector pin 3 "RFON" modified, it will turn RF "ON" when pulled up to +24V. If your application require standard unit (pin 3 internally pulled up to +5V, and will turn RF "ON" when pulled to the ground), request conversion to the standard unit when ordering, please.